While Brussels is in favor of the Transatlantic Trade and Investment Partnership, member states are opposed, investigative journalist Tony Gosling told Radio Sputnik. ​"Brussels itself is very much behind this, but it's fair to say the individual member states don't want anything to do with it, because effectively it means their own abolition," Gosling said. "The big common thread between all these agreements, it cannot be stressed enough, is the investor-state dispute settlement (ISDS)." For example, when the German government phased out nuclear power in the wake of Japan's Fukushima disaster in 2011, Swedish nuclear plant operator Vattenfall sued Germany for €3.7 billion ($4.7 billion), under the ISDS clause of a treaty on energy investments. "These corporations are setting up a kind of feudal system where chief executives of the banks, the media, big pharmaceutical companies and food giants are the new feudal barons," Gosling said. "They're using this ISDS to give themselves get-outs from the law." 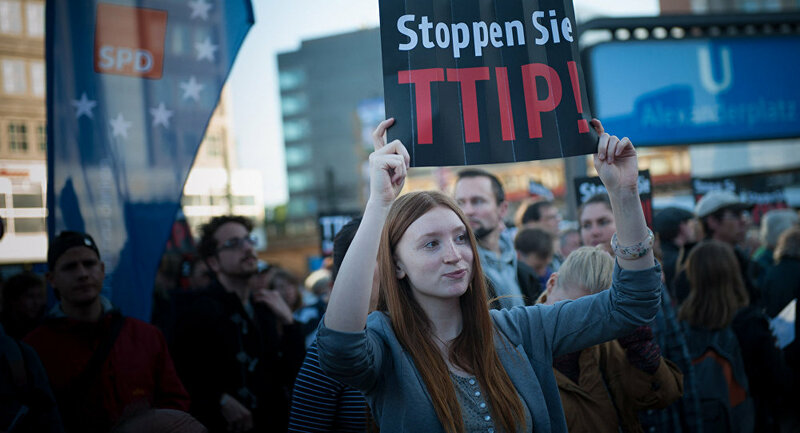 The TTIP deal has been criticized both for its secrecy, and the content of negotiations. Most of the information about the content of the negotiations has come from leaked documents and Freedom of Information requests. 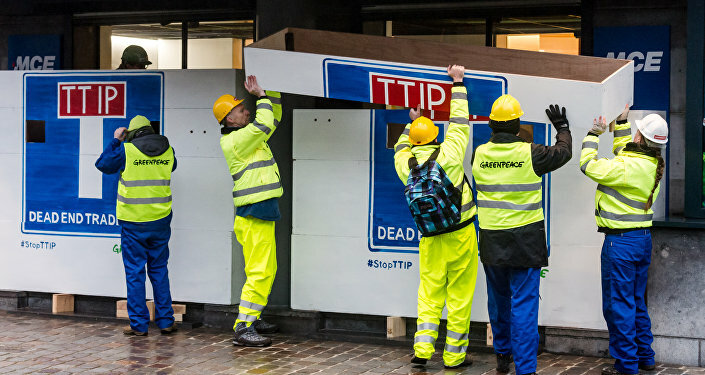 In a sign of the sway of multinationals in the negotiations, one FoI request found that during the course of TTIP negotiations from January 2012 – February 2014, the EU Commission's trade department held ten times more meetings with business lobbyists than with trade unions or consumer groups. German federal and state politicians only saw TTIP negotiating documents for the first time in January this year, when Gabriel's Ministry for Economic Affairs opened a reading room for politicians to examine them. Critics say the deal will open the way to the privatization of public assets in the EU, because the trade deal aims to guarantee firms "market access" to sell services on both sides of the Atlantic, which would include the abolition of monopolies like national healthcare systems, or national railway networks.